For a couple of weeks now I’ve been hearing rumours on the Interwebs that Baccus 6mm are going to release a range of models for WWII. So when Pete Berry, Baccus boss-man and all round good guy, showed up at Claymore 2013 today I took the opportunity to ask him if it was true. Well it is, and here are two pictures to prove it. These are lovely models, but what scale are they? 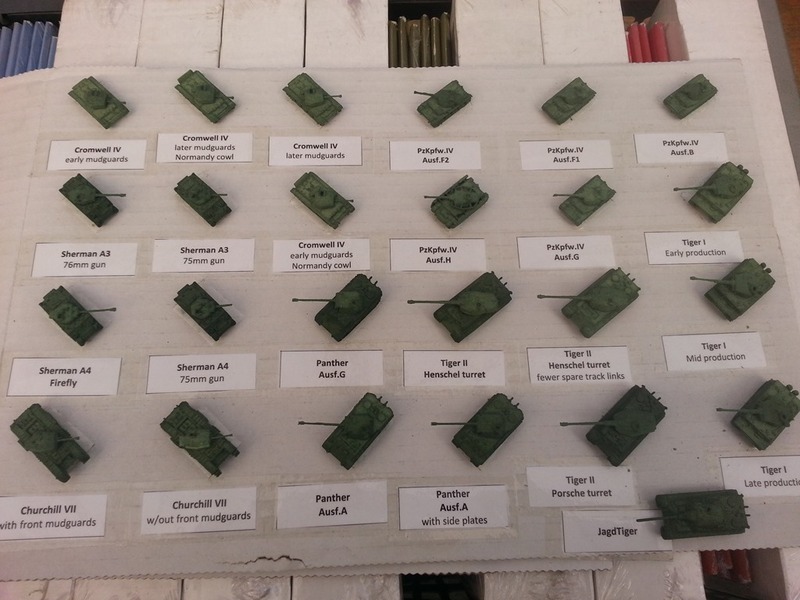 Big, definitely larger than Heroics & Ros‘ 1:300 stuff and probably also models from GHQ’s 1:285 range. I will not be using them alongside my existing collection of Heroics & Ros stuff. But Pete says he will be producing a full range of infantry to go with them and promises that he will only launch the range when he’s got “everything you need” for Normandy, 1944. The prototype 3D prints I saw were printed with a flexible material and had lovely thin guns barrels that were flexible and seemed difficult to break. Pete says the final versions will be printed with a different material, but one with similar properties. 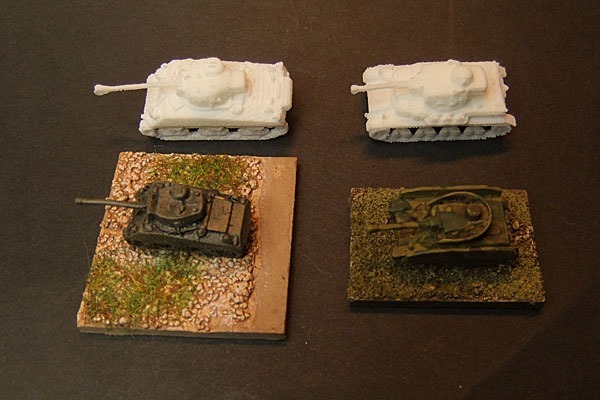 According to Pete they are “6mm scale” – which is nonsense of course, 6mm is a size, not a scale. 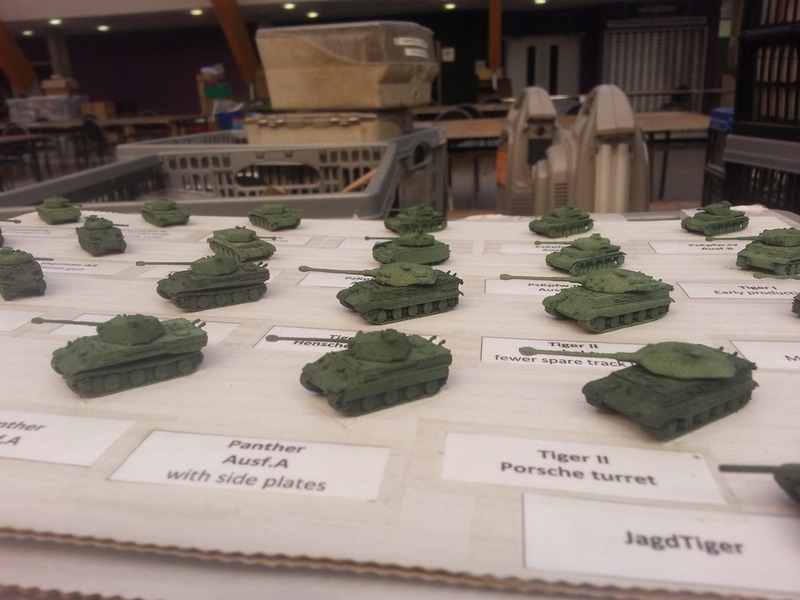 But he promises the tanks will fit perfectly with the planned infantry models. He was vague and avoided the question when I pushed him for a proper scale. When they will be available? “After we’ve released our WWI range”, planned for next year’s 100th anniversary. So nothing definite. I’m going to keep my eye on this. I wish he’d got the range out a few years ago. Here’s a picture of two of the Baccus models next to similar models from Ros Heroics. As you can see the Baccus models are considerably larger than their Heroics and Ros equivalents. I’ve measured a few dimensions and compared them to the published AFV sizes and it would appear that they’re scaled at around 1:250. Edit August 2015: Baccus have now got British WWII infantry ready and should be releasing a full range of 6mm Germans, British and Americans for 1944 later this year. The vehicleswill be metal – but the models will be designed on computer and the masters for the moulds will be 3D printed. good info thanks for sharing. any word if he is going to do other theatres? Latest I’ve heard is that he hopes to have the vehicles out by August. Immediate plans are Normandy, I’ve not heard anything about any other theatres. Hi & thanks for the article. Just for info 6mm is the reference used outside USA & UK for these 1/300 & 1/285 figures. (6mm is the height of a man, ground to eye level – apparently it avoids complications with hats etc). Although it’s not a scale as such, is helps define the size of figures e.g. 3mm, 6mm, 10mm, 25mm. Except it isn’t the size of the figures. Baccus 6mm figures are quite a bit taller than that. It’s really just a label that tells you what to expect.